The leading Museum of the historic profile of the Republic of Belarus is the biggest collection of the monuments of material and spiritual culture of the Belarusian people from the ancient times to our days. Chronological frames of the museum fund are from 40, 000 B.C. to present time. Several collections of the museum are of special value: The biggest archeological collection in Belarus. Collection of materials on the history of primeval society includes hunting, fishing, and agricultural instruments, domestic and ritual articles, ancient works of art and adornment.Manuscripts and block letter books.Collection «Belarusian folk costume» features both everyday and festal, ceremonial Belarusian clothes; there are costumes of different age and social groups of population.Collection of numismatics.Exposition «The ancient Belarus».Exposition «Old heraldry of Belarus». Practically all the exhibits of the exposition are presented to the public for the first time. The authors of the exhibition tried to personify the heraldry and tell about the carriers of heraldic traditions. The museum was established in 1957 as a museum of local lore, history and economy. 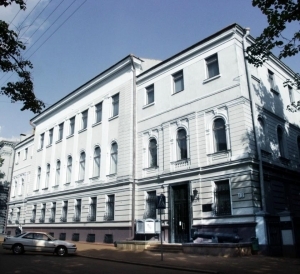 In 1991 it was reorganized to the National museum. In 1967, the museum was opened for visitors. At present, approximately 100,000 visitors attend the museum annually.